is now available in stores! In American and Sweden, children have adored reading this new and exciting story of an orphan prince and a magical red horse. 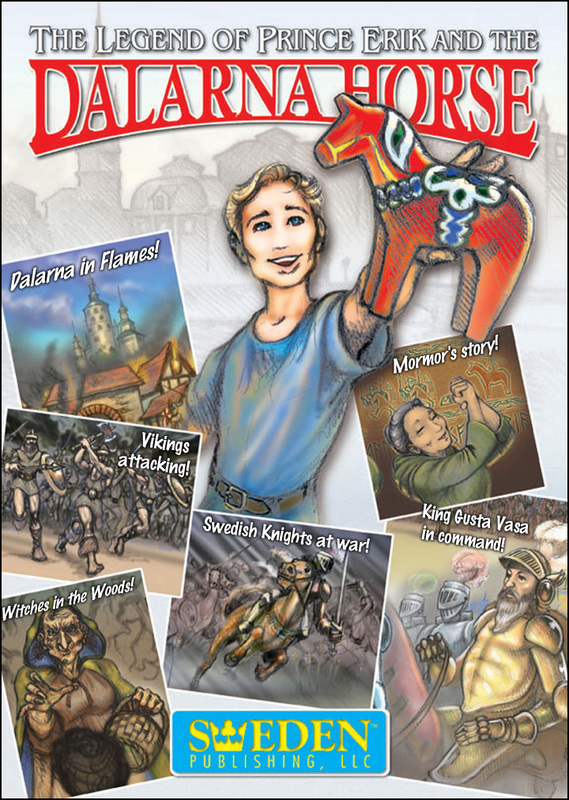 Based on Swedish history and culture and it's most recognized icon, the Dalarna Horse, this 60-page, full color, adventure is a thrilling ride of magic, myth, and medieval battle in the most exciting times of Sweden's past. The tale of young Erik's rise to fame, the cast of silly characters, a touch of true history, and the vivid artwork will keep both Swedes and adventure fans entertained. We thank our many fans and friends who have watched us develop the idea, the story, and the amazing artwork for this historic adventure. 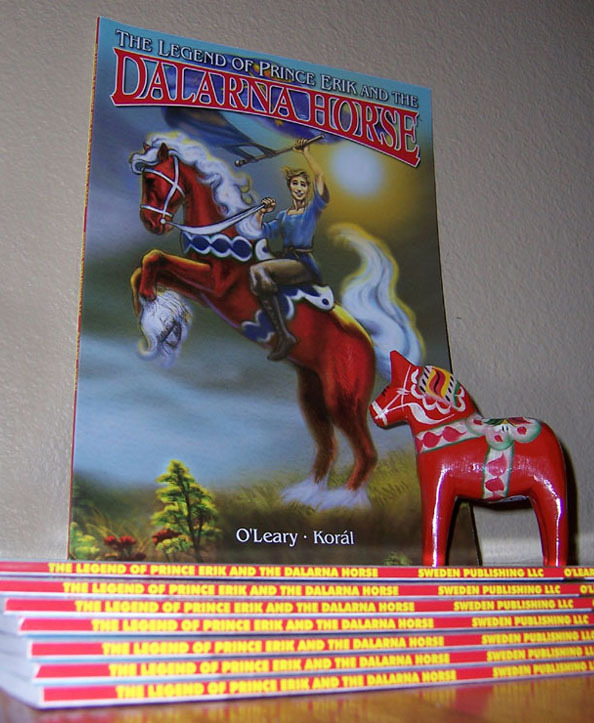 "The Legend of Prince Erik and the Dalarna Horse" Copyright 2008 Sweden Publishing, LLC USA All rights reserved. It's like Harry Potter meets King Arthur. And so colorful! I read your book and I was so moved by it! I am 110% Swedish woman with an 110% American husband, living in Pensacola FL (with no Swedish people for hundreds of miles). I have the dala horses all over our house and I have a Swedish flag in my car. But I cannot explain to anyone the “Swedish” in me, but you put that into words! Way to go! Your book was really cute and could have been a Swedish author writing it! The Vikings have Invaded Dalarna! But who will save Dalarna from the Vikings? Dalarna's Army has marched to the south, marching to war against King Gusta Vasa in Stockholm! There is no way for a boy to get to far-away Stockholm and convince the armies to unite in time! 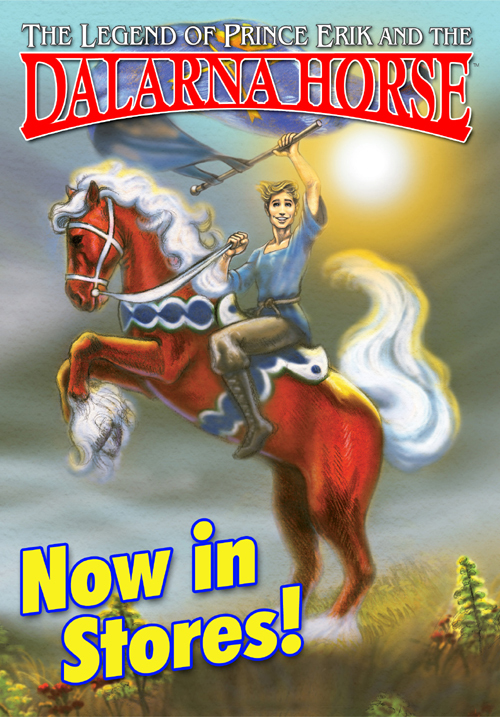 "Unless the magical horse can be found..."
"The Legend of Prince Erik and the Dalarna Horse" is a funny adventure story set in old-time Sweden. It is told from the point of view of a modern Swedish grandmother. Her grandkids (bored on vacation in Dalarna) beg her to tell them the story of the Dalarna horse. 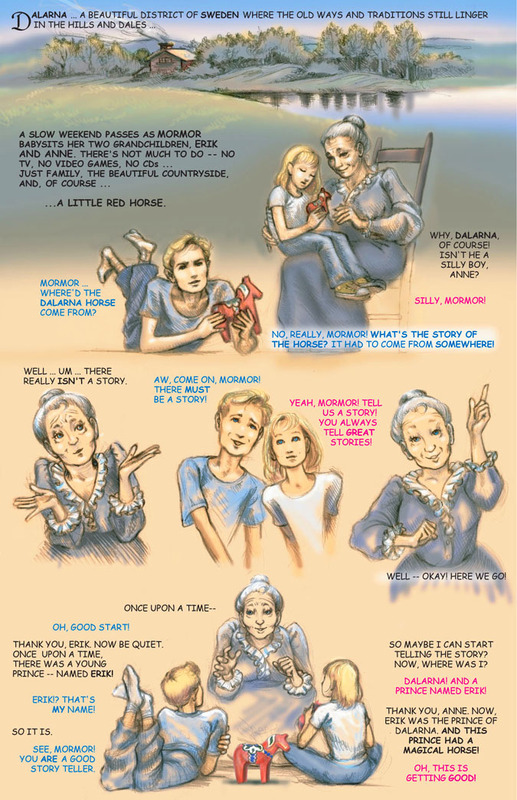 So "Mormor" tells her grandchildren that there's no story about the Dalarna, but they don't care! They want a story! So she makes up a story! She weaves a wonderful tale. She tells of a young orphan who becomes a prince; she tells of an old crone in the dark woods; and she tells of a legend about how a red horse from Dalarna would help unite all of Sweden under one king. Drawing on the comedy traditions of Asterix & Obelisk and The Princess Bride, "The Legend of Prince Erik and the Dalarna Horse" promises giggles and thrills for all audiences. 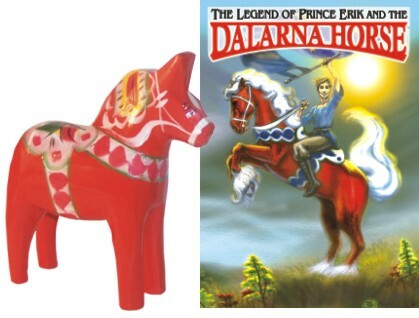 The Dalarna Horse is the national icon of Sweden, on par with the Eiffel Tower and the Statue of Liberty. It is a small, carved red wooden horse brightly painted with flowers. 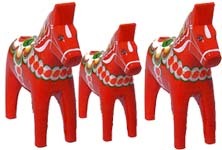 The horse (often called dalahorse) began as a small craft item in Dalarna, a picturesque district of Sweden, but the horse has become the symbol for all that is Swedish. Dylan O'Leary, writer/publisher, has written, produced, and directed two feature-length films (www.ScoutsTheMovie.com). Koral Wynn, artist, is a Parisian-trained fine artist. See more of his exquisite works at www.KoralFineArt.com. Back to the top! .